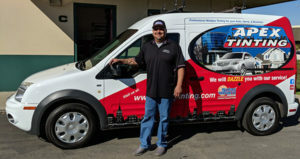 Home window tinting has a lot of benefits for residents of the Central Coast. 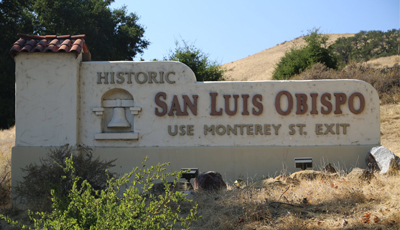 San Luis Obispo is a beautiful place, with great weather. Here we get sunshine on most days of the year. Our weather can be the envy of many, but it also comes with some drawbacks. The sun’s damaging UV rays cause harm to both people and their homes. Even when the weather outside is mild, sunlight entering through glass windows can become trapped inside raising the temperature dramatically. At times we even avoid certain areas of our home during peak sunlight hours. Whether it is unwanted heat build up or the annoying glare that makes it difficult to see our TV and computer screens, all of our sunlight can really be a bother! But Apex home window tinting film takes care of these issues, making your home a much more comfortable place to be, at all times of day! The sun’s powerful rays can bring costly damage to furniture, flooring, draperies, and more, causing them to fade and break down too soon and can even depreciate your home’s value. Our skin is also affected, did you know that the damaging UV rays actually pass right through windows that aren’t protected with window film? Melanoma (cancer of the skin) is the most common form of cancer, with a clear association to increased UV radiation. Most of us these days are good about putting on sunscreen when we go outside, but don’t even think about the UV rays that we are exposing ourselves to while inside! Having Apex install home window tinting at your residence will dramatically reduce those UV rays, keeping you safer, and your home as well. Home security is another Apex objective. Flying glass fragments that happen when a window is broken can be minimized with window tinting film. A nursery or child’s room are good candidates for this feature. Nothing will completely prevent a determined thief from getting in, but it is always wise to take as many precautions as possible. Apex carries a full line of security films, which range in thickness from 4 mil. to 15 mil. If someone attempts a break-in through a window with this security film installed, it will be more difficult to break and harder to get through. Security window film can provide valuable time for help to arrive. Are you worried that installing window tinting may look too dark at your San Luis Obispo home? A common concern is that in order to be effective, window tinting will be dark. But advancements in the industry make this entirely untrue. Achieving a healthy balance of natural light and the protection you desire, is what Apex Tinting specializes in! We provide you with the best in home window tinting film installations! Apex has window films that cut out very little visible light and are still able to reduce UV rays by up to 99%. These window films dramatically reduce the heat build-up in your home, and can really help with energy costs too. Apex Tinting carries decorative films for your home windows as well. Perhaps you have a window that faces an unappealing view. Or you have windows that require privacy but you don’t want to block out the natural light with blinds or curtains. Our decorative film choices come in opaque, frosted and one-way! We’d love to hear from you, and talk about how we can help you!